The University of California and California State University G.E. 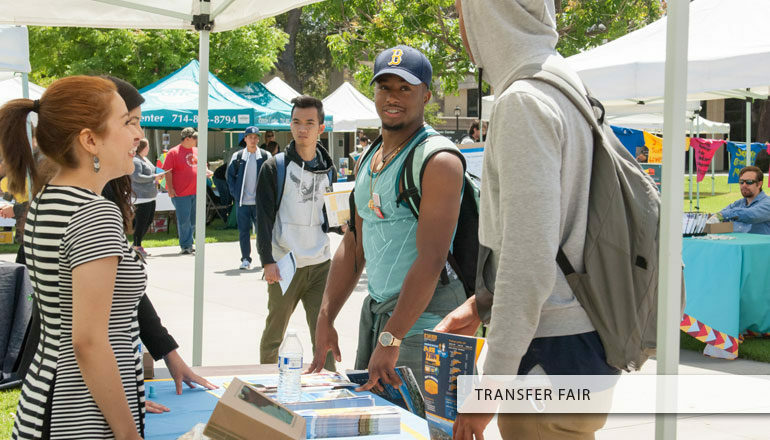 Breadth agreements indicate a series of lower division coursework that a student can complete at GWC to satisfy the lower-division general education requirements at the transfer campus. What is the CSU General Education Breadth Requirements? It is the principal field of study for a University student. All students are required to designate a major when transferring to the University. This lower division/prerequisite coursework can be completed at the community college prior to transfer. It is a formal agreement between two campuses. They define how courses taken at one college or university campus can be used to satisfy a subject matter requirement at another college or university campus. Certification is an indication of the completion of the entire pattern of general education for the California State University, (CSU GE Breadth), and/ or University of California, (IGETC), campuses. Certification allows students to satisfy their lower division GE requirements by following the approved community college curriculum rather than the university’s lower division GE pattern. Is completion of IGETC/CSU Breadth required for admission to the UC or CSU? No. Students are not guaranteed admission to any campus on the basis of completing general education coursework. Completion of the lower- division breadth requirements may improve a transfer applicant’s chances of admission to a competitive campus and/or program. Yes. A single course can meet the requirement for both general education and major requirements. See a Counselor for exceptions. Yes. IGETC coursework must be completed with a grade of “C” or better. Grades of “Pass” or “Credit” will be accepted when a passing grade is equivalent to a “C” or better. “C-“ and “D” grades are not acceptable. Can I use Advanced Placement scores for IGETC or CSU Breadth? Yes. Official Advanced Placement scores must be received from College Board for these to be used in either general education pattern. In most instances, scores of “3” or better will be granted course/subject or unit credit. See GWC Catalog for a listing of AP tests, scores, and approved credit. It depends on If you are planning on applying to both the UC and CSU, then the IGETC is an appropriate pattern as it meets the requirements for both systems. If you are only seeking transfer to the CSU, then you can follow the CSU GE Breadth requirements. Yes. UC Berkeley’s Hass School of Business and UC San Diego’s Revelle and Roosevelt Colleges will not accept IGETC. It is also often not advisable to use IGETC for most high-unit majors. Please see a Counselor regarding the general education requirements for these campuses. Can I use coursework from any college to meet the IGETC or CSU GE Breadth requirements? Yes. A community college can include courses from regionally accredited colleges and universities to meet IGETC requirements if the coursework is evaluated and deemed to be equivalent to that of the community college course. No. A student must request certification. At Golden West College, this request for certification is located on the transcript request form in the Admissions and Records office. Can any student complete IGETC or CSU Breadth at the Community College? Not all students can use IGETC or CSU GE Breadth to satisfy their general education requirements. A student who entered a UC or CSU as a freshman is now attending the community college, and plans to return to that same institution may not be eligible for the IGETC or CSU GE Breadth.